Andrés' book, We Fed an Island: The True Story of Rebuilding Puerto Rico, One Meal at a Time, comes out in September. 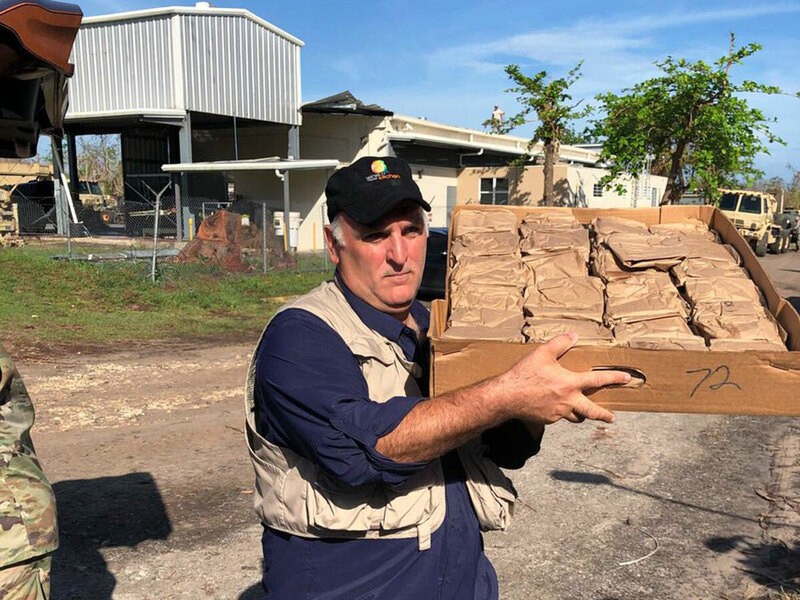 Almost a year after Hurricane Maria devastated Puerto Rico, José Andrés is offering the world a closer look at the grim realities of relief efforts and how he managed to mobilize World Central Kitchen to feed over 3 million meals with the help of 20,000 volunteers. His forthcoming book, We Fed an Island: The True Story of Rebuilding Puerto Rico, One Meal at a Time, comes out on September 11, and it will be published by Anthony Bourdain's Ecco imprint. Lin-Manuel Miranda wrote the forward. The chef admits that he's become a different person since Hurricane Maria, even though he's been leading relief efforts for years, from Haiti to California. As for how he finds the time to manage a global restaurant empire, rush towards disasters, and write a book, no one is entirely sure. But Andrés is showing no signs of slowing down. We Fed an Island, which hits shelves on September 11, will offer an uplifting message.